Setsuko Iwamoto survived the atomic bomb that was dropped on Hiroshima, Japan, on August 6,1945. 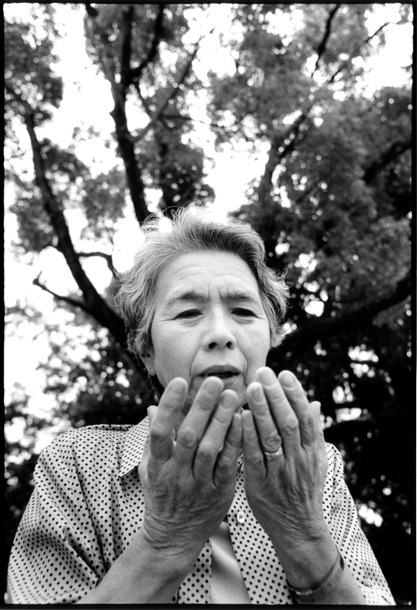 Here she describes the morning the bomb came down: She was a teenager in school and ran to one of Hiroshima’s seven rivers along with thousands of other people, to wash her face and cool off, and to feel if she still had a face. She was burned on her arms and back, but not on her face.